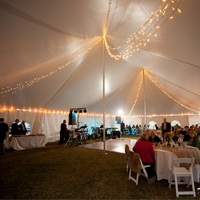 If you are looking to rent a tent for your upcoming party or event, Bustini's Event Rental provides a multitude of options to select from, and the expert knowledge to help you choose the right rental equipment for your event. 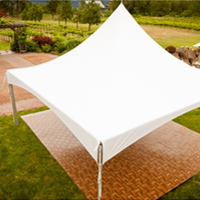 We offer pole and tension tents as well as frame tents. Each tent rental is professionally installed by our experienced crew and can be upgraded to include sidewalls, heating, lighting, flooring and more..